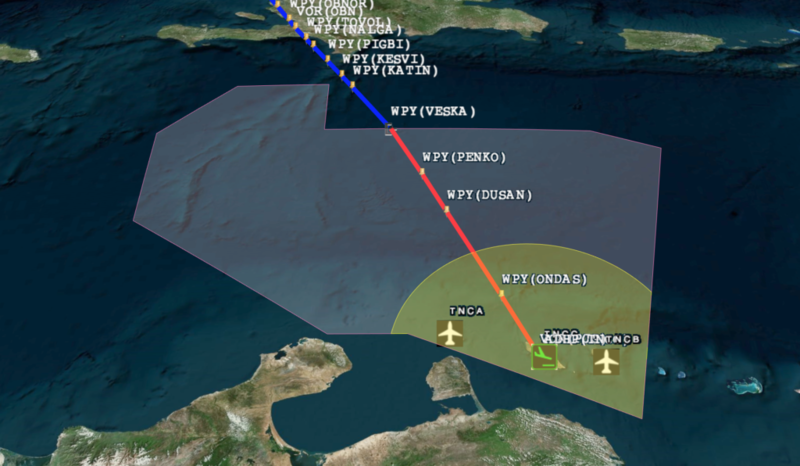 We have previously reported on TNCF/Curacao FIR denying airspace entry if you haven’t prepaid your navigation fees. 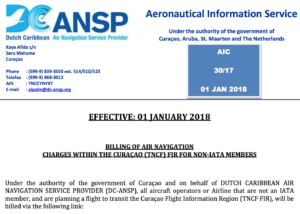 Since then, more of our members have reported that the Dutch Caribbean – Air Navigation Service Provider (DC-ANSP) have been charging navigation fees for flights filed but not operated. If there was a mistake on the flightplan or a new one needed to be filed the DC-ANSP has charged the fees for both and refused to issue refunds. To make matters worse, it’s been reported that they are charging $50 to review the matter! Poor form! From 1 Jan 2018, DC-ANSP switched billing systems – from direct payment to IATA to a new online system provided for by IDS. It’s pretty high tech and fancy. Maybe too fancy if they are charging for flights that didn’t happen…. High tech new billing system!